” Donate Your Cells, Tissue, Organs, Or Body To Stop Use Of Animals Adverts contribute towards site running costs, but currently may not fit with the site ethos. We will continue to work on a solution. 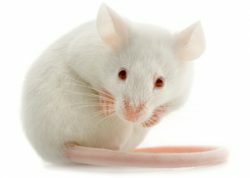 Can I Ensure That My Body Is Definitely Used To Help Stop Animal Testing? How Can I Promote Using Alternative Methods Over Animals? You can help stop animal testing AND increase the safety of new medicines by helping researchers develop alternative methods of medical research. Also, providing enough human tissue for research and medical training means fewer animals are used instead. This simply involves donation of your cells, your redundant body tissue left over from operations/births, etc, or your body or organs after your death. It can be done both while you are alive, and after death. This means you can carry on saving animals from suffering, even after you die. By conservative estimates, tens of millions of animals are killed or maimed each year in research on the safety and effectiveness of new drugs, agricultural chemicals and consumer products. Animals who are dissected include mice, rats, worms, cats, rabbits, fetal pigs, birds, dogs, and fish. They come from breeding facilities, slaughterhouses, their natural habitats, pet stores, local pounds, and even animal dealers and thieves. Most are killed and “processed” at biological supply companies. Here are some of the pound dogs that were used. Many scientists and doctors agree that non-animal testing methods of medical research are much safer, and this number is steadily increasing. There are many organisations all over the world developing humane research methods. 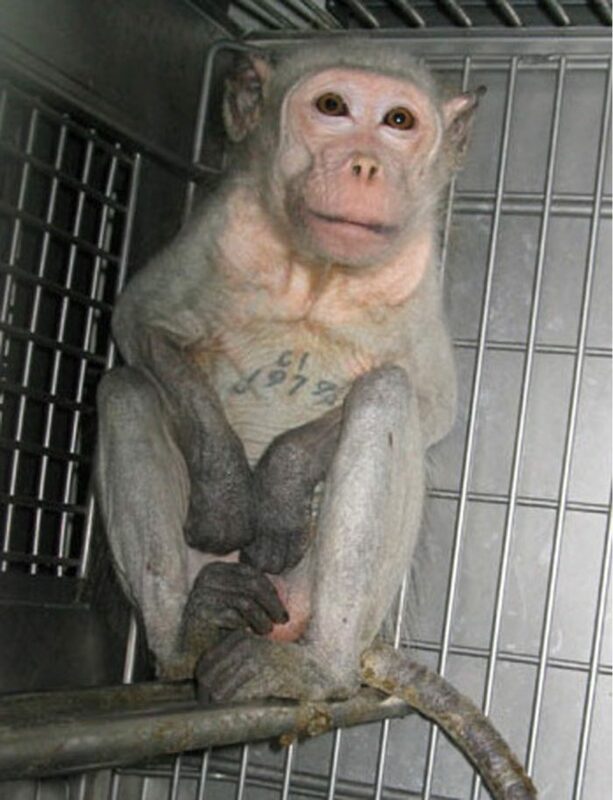 For information about animal testing, please see the animal experimentation page. ""There is no doubt that the best test species for humans are humans. It is not possible to extrapolate animal data directly to humans due to interspecies variation in anatomy, physiology and biochemistry"
According to many enlightened doctors and scientists, such as members of the Physicians Committee for Responsible Medicine (PCRM), the practice of animal experimentation is more harmful than helpful to public health and safety. They feel we should stop animal testing because it harms patients by misleading scientists’ understanding of diseases, creating a false sense of security and throwing up false concerns. In fact, humans have died and been maimed during trials of drugs that have been proven safe in animals. In lab tests of a new cancer drug that was thought to be very promising, called TRAIL, had been harmless to healthy monkey and mouse liver cells, but it was found to kill healthy human liver cells. In rats, cancer was cured decades ago, but humans react so differently, no cure has been found. Concern about the costs and questionable benefits of animal testing has been growing since the 1970s. Industry executives say that as much as 25 percent of the drugs tested on animals failed to show side effects that later proved serious enough to prevent the drugs from being marketed. These medical doctors and scientists strongly feel that it is dangerous to focus on animal biology instead of human biology when researching human medicine. Much to the horror of the animal experimentation industry, C. Ray Greek, MD, and Jean Swingle Greek, felt so strongly that the public should know about the inaccuracy and unreliability of using animal research, that they wrote a revealing book. 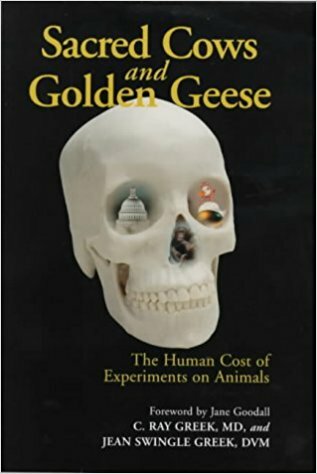 “Sacred Cows and Golden Geese: The Human Cost of Animal Experimentation“, uses the data they had access to as ex-animal researchers, and a large amount of literature not available in the public domain. ""The history of cancer research has been a history of curing cancer in the mouse. We have cured mice of cancer for decades and it simply didn't work in humans."" The Greeks are are ex-vivisectors who have studied medical and scientific literature which is largely unavailable and inscrutable to the public. 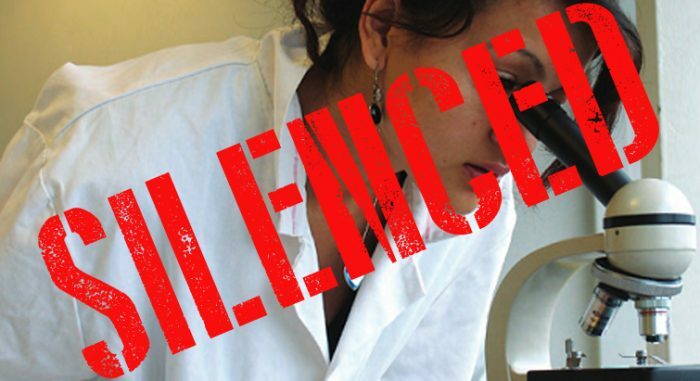 Those who are against animal studies can find no place to publish, despite there being an estimated 100,000 scientific journals in print today. This is because these journals rely on advertising revenue from pharmaceutical companies and other companies who make products for animal experimenters. The main stream media knows it has to keep its pharmaceutical and medical research contacts happy if they want to be privvy to breaking news.Upsetting these important contacts could mean they lose their jobs. The animal experimentation industry grosses between an estimated 100 billion and one trillion dollars a year worldwide. This figure includes the employment of hundreds of thousands of people, including those who manufacture and sell jackets for immobilising animals and pumps for force-feeding them, needles, cages, scalpels and equipment used to kill animals in a specific way, not to mention the sales of animals themselves. The pressure they exert and control they have should be underestimated. ""There are, in fact, only two categories of doctors and scientists who are not opposed to vivisection: those who don't know enough about it, and those who make money from it."" How many times do you hear about a new drug or treatment for a major disease or condition that has had “promising” results in animal studies, that should be available in a few years if studies continue to give promising results…and then you never hear about it again? That is because so many “promising” results from animal studies mean absoutely nothing when the treatment is to be applied to the human body. The drug company Ciba-Geigy has estimated that only five per cent of chemicals found safe and effective in animal tests actually reach the market as prescription drugs. Despite the supposed stringency of animal tests on drugs deemed safe for human consumption and released onto the market, two million Americans become seriously ill and approximately 100,000 people die every year because of reactions to medicines they were prescribed. To put this in context, this figure exceeds the number of deaths from all illegal drugs combined. In England, an estimated 70,000 deaths and cases of severe disability occur each year because of adverse reactions to prescription drugs. During 1976 to 1985 the US Food and Drug Administration (FDA) approved 209 new compounds. Nearly half of these were subsequently found to have severe unpredicted side-effects including heart attacks, kidney failure, liver failure and stroke, not detected in animal studies. The best-known example is the drug thalidomide. Mothers who took this drug to remedy morning sickness gave birth to children with shocking deformities, with most lacking developed limbs. This did not happen in animal studies. When a study of dyeworkers showed a high incidence of bladder cancer, droves of dyed lab animals failed to prove the rule. Chromium was carcinogenic in humans but not in animals. In 1956, British doctors warned of carcinogenic effects of X-rays given during pregnancy, resulting in childhood cancers. But no amount of irradiated pregnant quadrupeds necessarily produced the same effect. Asbestos is another example. The link between cancer and asbestos was made as long ago as 1907; but, after scientists failed to induce the disease in animals, it took more than 30 years before it was banned. Since animals’ bodies react so differently to humans in so many ways, it makes no sense that we are concerned with reproducing results in animals before agents are banned for humans. A drug to treat Leukaemia, named TGN1412, had produced promising results in animal studies, so was tested on six healthy young men in a UK drug trial run by Parexel. Despite the drug amount injected into them being 500 times lower than the dose that was safe in animals, all six men ended up fighting for their lives in a hospital intensive care unit, suffering from multiple organ failure. One of the men remained in hospital for four months and also suffered pneumonia, septicaemia, and dry gangrene. He lost his finger tips, part of his foot and his toes. All six of the men were left with muscle wastage and an increased risk of developing cancer and infertility problems. Even is people are not concerned about the horrific animal cruelty involved, the abundant scientific evidence against this practice should worry anyone who cares about their health and the health of their loved ones. As well as drugs and treatments that are dangerous to humans being allowed onto the market, there is the flip side of animal testing. It actually prevents, or delays, many drugs and treatments from coming onto the market that really WOULD help humans. This is because if the drug or treatment is deemed dangerous in animals, it never reaches the stage where it is tested on humans. 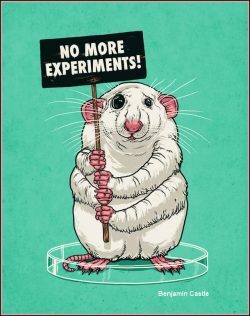 We can only imagine the treatments and cures that would have been found by now if we did not test on animals. We are lucky in that now we have the scientific knowledge and technology to grow human tissue in labs, and do research on human donor tissue, which gives far more accurate results. Despite this, Governments continue to demand that drugs and treatments must go through animal testing procedures before they can be approved for the market. ""Conflicting animal results have often delayed and hampered advances in the war on cancer, they have never produced a single substantial advance in either the prevention or treatment of human cancer."" Prescription drugs and vaccines, and many over-the-counter drugs—regardless of whether or not they contain animal products—have likely been tested on animals when they were developed, as regulations require. Regulations do not require that generics versions of a drug that has already been approved undergo animal tests before they can be marketed. Neither the federal Food, Drug, and Cosmetic Act nor the Food and Drug Administration regulations require animal testing of pharmaceuticals. However, because FDA industry guidance for preclinical drug testing states that the agency will “generally ask” for toxicity test results using at least two species of animals, this has resulted in companies assuming that the FDA prefers animal tests for all products. This means animal testing has become the default method. The EPA regulates pesticides, industrial chemicals, and other categories of potentially toxic or unsafe materials. The EPA requires animal safety testing for many of these materials. Until the FDA and EPA become more receptive to proven alternative methods and more proactive in promoting them with the companies it regulates, those companies and contract research organizations will likely continue testing on animals. Having said that, the FDA does acknowledge that animal testing is not optimal, but it has not yet recommended that any non-animal testing method replace animal testing. It is illegal to sell cosmetic or toiletry/personal care products that have been tested on animals in the EU and UK. 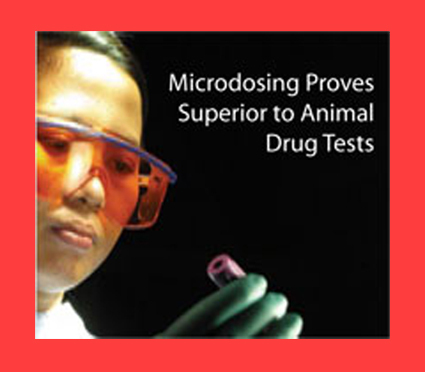 Drugs still have to be tested on animals by law. In China, cosmetics and personal care products have to be tested on animals by law. 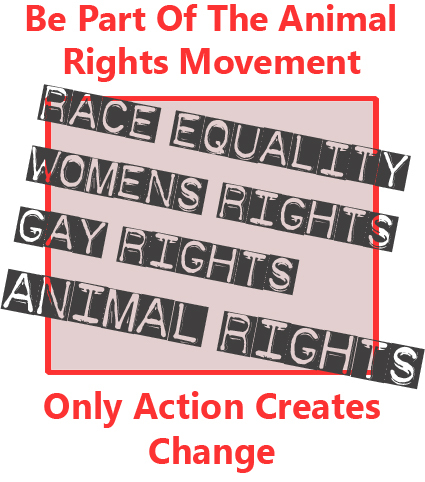 When selling in other parts of the world, some companies state they do not test on animals, or are against animal testing “unless the law requires it”, or something to that effect. This means they have chosen to sell their products in countries like China, even though that would mean their products have to be tested on animals. This is often done by a third party in china, where the treatment of animals is unimaginably cruel. These companies have chosen money over ethics, and can be regarded as a company who tests on animals, and NOT a cruelty free company. 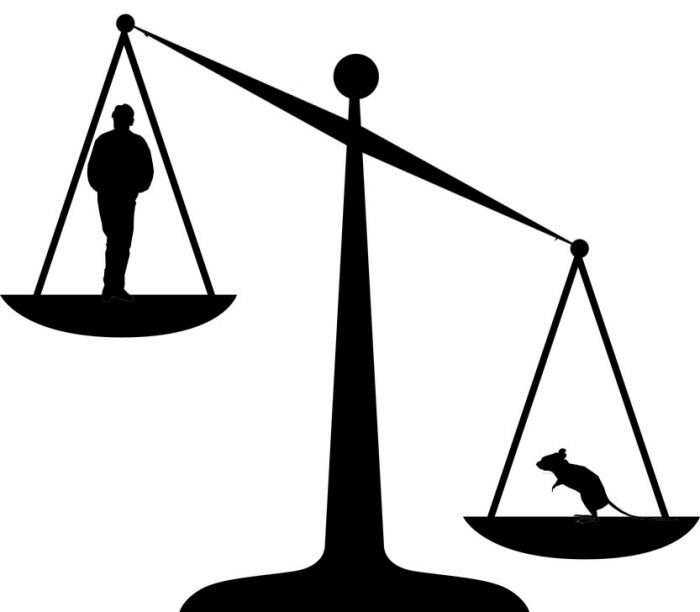 Image: Scales of injustice – animal testing law. HUMAN skin, eyes, the lining of the throat — snippets of these and other tissues are now routinely grown in test tubes from donated human cells. The aim is to use the human tissues in place of mice, dogs, or other lab animals for testing new drugs, cosmetics and other products. In other cases, testing is being conducted virtually, using computers and simulation software. Breast cancer is an area that has benefited from mathematical modelling where computers simulate parts of the human body. This is a relatively new area of research, as is computer-assisted research where molecules can be studied on screen using computer graphics which mimic the body’s systems. Animal Free Research UK (formerly The Dr Hadwen Trust), is a UK-based charity established to come up with alternative humane research techniques. It funded the development of a new brain-scanning technique for studying vision, which replaced the need for invasive experiments on cats and led to a revolution in the understanding of the human brain with untold potential. For some tests, people have replaced animals: volunteers get microdoses of potential drugs that can be analysed but cause no ill effects. The investment in non-animal testing methods are being driven by European regulators, who have set 2009 as a deadline for all animal testing on cosmetics. In the United States, there has been no similar government mandates to reduce animal testing, but a recent study from the National Academy of Sciences, which was sponsored by the Environmental Protection Agency “says we now have the tools to look much more closely on how toxicity occurs, and that we have to do it on human cells,” said Rodger D. Curren, president of the Institute for In-Vitro Sciences, a nonprofit testing center in Gaithersburg, Md. The study concluded that over time, the use of animals for testing could be greatly reduced and possibly eliminated. Alternative Scientific tests are quicker and cheaper than animal tests – The traditional testing of chemicals using animals can take up to five years per substance and cost millions of dollars, while non-animal alternatives can test hundreds of chemicals in a week for a fraction of the cost. Alternative scientific tests are often more reliable and accurate than animal tests. Example: The “Lethal Dose 50” (LD50) test forces animals to ingest toxic and lethal substances to the endpoint of where 50% of the animals in the study die, often slowly and in unimaginable agony—and those that do not are later killed. The late Dr. Bjӧrn Ekwall (Cytotoxicology Laboratory in Sweden) developed a replacement for the LD50 test that measured toxicity at a precision rate of up to 85% accuracy compared to the LD50 rate of 61-65%. This test, far more accurate than the animal models, uses donated human tissue rather than animal. Crude skin allergy tests in guinea pigs only predict human reactions 72% of the time. But a combination of chemistry and cell-based alternative methods has been shown to accurately predict human reactions90% of the time. The notorious Draize skin irritation test in rabbits can only predict human skin reactions 60% of the time. But using reconstituted human skin is up to 86% accurate. The standard test on pregnant rats to find out if chemicals or drugs may harm the developing baby can only detect 60% of dangerous substances. But a cell-based alternative (EST) has 100% accuracy at detecting very toxic chemicals. The severe shortage of human organs available for transplants has resulted in extensive research to use animal organs for this purpose, involving much animal suffering. Scientists are using pigs to grow human organs inside, to be used in transplants. 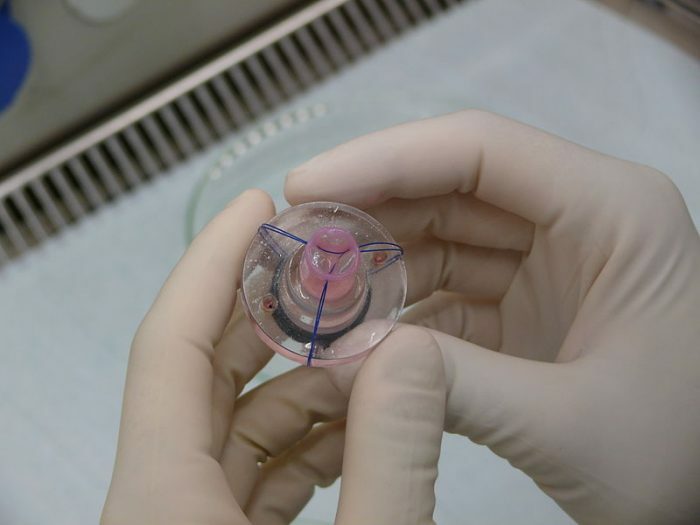 Pig heart valves are transplanted into patients because there is a shortage of human heart valves. Registering that you wish to donate your heart and other organs after you die is one way to save more pigs from being used in this way. In the UK, you can register with the Organ Donor Register (see UK Transplant Organ Donors link below). It is also important that you let your family know your wishes, as your next of kin can stop your organs being donated, even if you are on the organ donor register or carry a donor card. Tissue Banks work hard to minimise any upset and disruption to relatives. They collect the tissue donated within hours and the body is returned to the family who can make normal funeral arrangements. There is a long established and well‐organised, nationwide system of collecting whole organs, bone, skin and eye tissue for use in transplants. If tissues and organs prove unsuitable for transplant, they may instead be supplied for research purposes. This can only be done with the permission of the donor or next‐of‐kin. If you wish tissues from your body to be used in transplants or research after death, you should consider registering as an organ donor here: UK Transplant Organ Donors. Alternatively, telephone the organ donor line on 0300 123 23 23. It is recommended that you carry this an organ donor card in your wallet/purse. These cards may be available at your local pharmacy or doctor’s surgery. 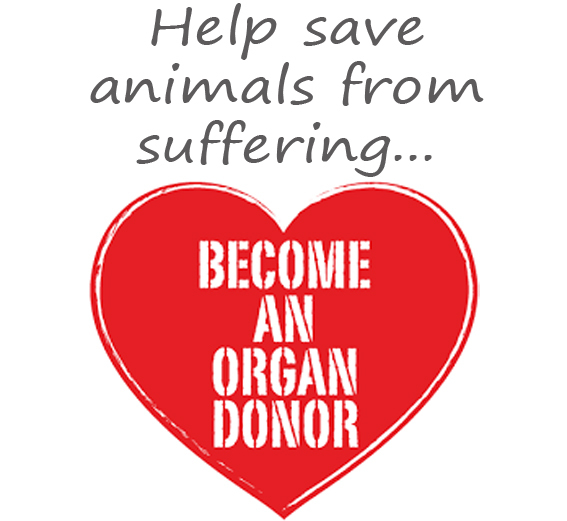 Image: By becoming an organ donor you could save animals from suffering. If you are due to give birth or have surgery, including cosmetic surgery, you can request that the placenta, umbilical cord, or other tissue taken from you is donated to the hospital ‘Bio-bank’ instead of being incinerated as waste. Although not all hospitals have bio-banks, it is important to find out if there is a local bio-bank before you have your operation. It is important you contact the hospital you are having the procedure in advance about donating tissue. If you are having a biopsy taken, or are about to undergo an operation, you can ask the hospital whether your tissue can be used in research. This will depend on what research is taking place locally that requires the type of tissue taken from you, and the availability of storage facilities. 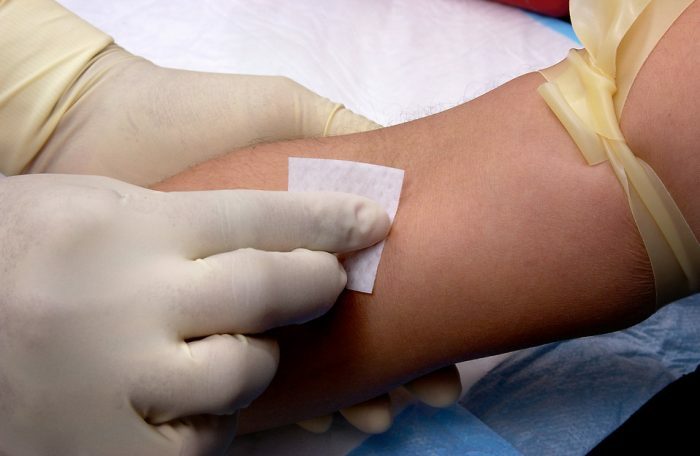 Human tissue can be donated from surgery (e.g. biopsies, cosmetic surgery and transplants). Skin and eye models made from reconstituted human skin and other tissues have been developed and are used to replace the cruel rabbit irritation tests. Companies such as Episkin, Mattek and CellSystems GmbH now produce these tests in easy to use kits for companies to use to test their cosmetics and other substances. As long as it is useable, the tissues stored in the bio-bank are then used in medical research, where animals could have been used instead. It is wise to register your willingness to donate tissues with a hospital and tissue bank. ‘Ethical Tissue’ in Bradford collects a range of human tissues from patients coming having treatment in hospital and from healthy volunteers. Rapid advances in technology have allowed for the development of sophisticated scanning machines and recording techniques that can be used to safely study human volunteers. 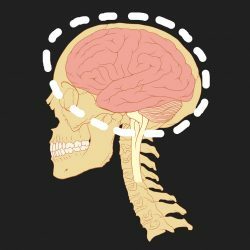 Brain imaging machines that can ‘see’ inside the brain can be used to monitor the progression and treatment of brain disease. They can help researchers understand the causes by comparing with healthy volunteers. An innovative technique called microdosing can also be used in volunteers to measure how very small doses of potential new drugs behave in the human body. These microdoses are radio-labelled, injected into human volunteers and measured (usually in blood samples) using a very sensitive measuring device called an accelerator mass spectrometer. Less high-tech studies for nutrition, drug addiction and pain can also be carried out on consenting humans in the interest of advancing medical science. 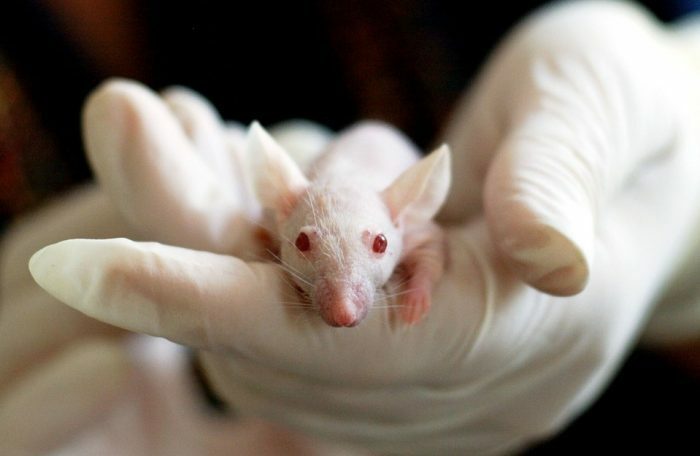 These studies can help replace animal tests. There is no doubt that undertaking medical research on human tissue gives more accurate results when studying human diseases, than animals research does. Where there is a lack of human tissue to study, animals are often used. A number of brain banks exist around the country that collect and store tissue for research into serious neurological disorders. It is possible to arrange to leave your brain to these banks, and several produce information packs for donors. There is a severe shortage of non-diseased brains at most brain banks. Most people know that they can help humane health charities through generous contributions of money or time, but a lesser-known way to support the eradication and treatment of human disease without harming animals is through posthumous body donation. Many medical research facilities, universities and colleges need human tissue to use for medical research. Because time is critical, it is wise to register your willingness to donate tissues with a hospital or tissue bank. Leaving it for your next of kin to organise may take too long and result in your body being unusable. Two humane charities, which include the Anatomy Gifts Registry (AGR), and the International Institute for the Advancement of Medicine (IIAM), are dedicated to providing valuable human bodies, organs, and tissues to medical researchers and students. Leeds Tissue Bank collects post-mortem tissue for research, especially cancer and orthopaedic research. St George’s Hospital in London. 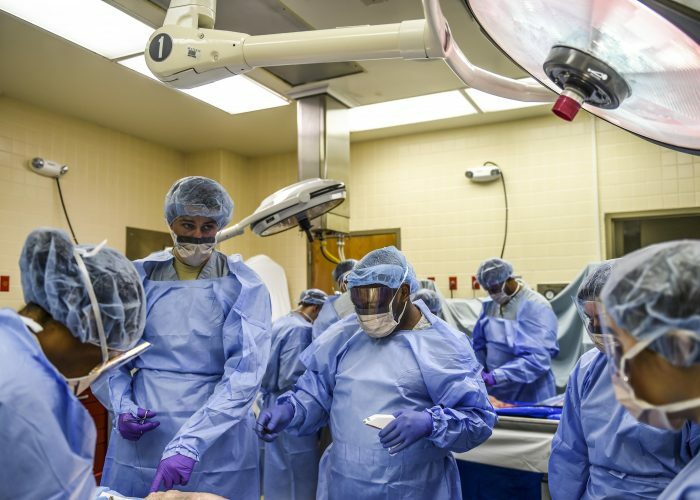 Medical students learn anatomy by dissecting human cadavers and there is a shortage of donor bodies for training doctors. Where there is a shortage, animals may instead be killed to use. To arrange to leave your body to a medical school for use in training doctors you should contact The Human Tissue Authority. Tel: 020 7972 4551 for further details. Because time is critical in after death tissue donation, it is wise to register your willingness to donate tissues with a hospital and tissue bank. Leaving it for your next of kin to organise may take too long and result in your body being unusable. Depending on where, and how, death occurs, it is not always possible to donate your body or organs. If you want your tissue to be used for only specific types of research, for instance, where your tissue would be replacing the use of animals, it is important that you make these wishes clear to the healthcare professional who seeks your consent. Your wishes should also be stated in writing on a consent form. However, you should be aware that, if you impose very specific requirements for its use, many tissue banks may not be able to use your tissue at all. This is why it is vital to check with the tissue banks in plenty of time. You may find tissue banks that are able to fulfil your requirements. 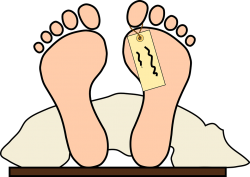 It is vital to inform your next of kin of your wishes, as they are likely to be asked for consent about what happens to your body after death. Currently in the UK (2017) your next of kin can refuse for your organs to be used even if you carry a donor card, so it is paramount that your next of kin understands how strongly you feel about organ donation. It is important that you discuss your wishes with your family, doctors, and the executors of your Will. The Physicians Committee For Responsible Medicine has already had a huge amount of success with volunteers helping. The PCRM website provides a number of ways you can help encourage ethical research over animal research. They also give advice and support about lots of ways to spread the message. One way is to share this animated short film with as many people as possible, or this more harrowing video. By helping them respond to media articles by letting them know about them, you will be helping us all get closer to an animal-testing free world. If you are a student at school or doing a college or university course that is planning to use animals, you can use this guidance to conscientiously object, and possibly get the course to use alternative means. You could even do what these doctors did with PCRM and organise a protest demonstration. Before deciding which college or university to attend, prospective students – whether they are doing a medical course or not – could enquire whether the institution uses live animals for any educational, training, or research purposes. If they are unwilling to change to use alternative, ethical methods, and you decide against the college or university on these grounds, it is important you let them know that is the reason. Use social media and other methods suggested on the site to spread these facts so that other people are also aware.